Gorgeous Gordes! 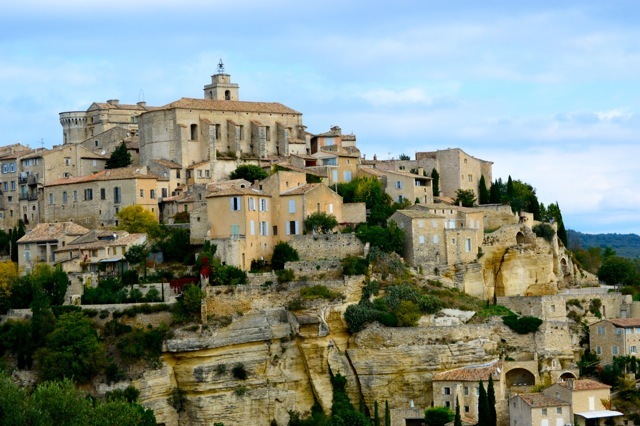 Perched on top of a mountain in the Luberon in the Provence-Alpes-Côte d’Azur region is this commune with a population of just over 2,000 people. The ride on the country roads from Marseille was full of curves, often steep, and oh-so-very-pretty as that legendary light so beloved by artists bathed the landscape with its hazy touch. At this time of year, there were not many tourists around and some shops were closed. But this is exactly how hubby and I like it so it was all for the best. The lovely lunch of white fish beurre blanc on the small village square was simple and scrumptious, and that lovely delicate rosé from the area is just like Provence itself – light, refreshing, with a perfume of fern, lemon and a touch of fruits. This trip has been a gentle reminder of how beautiful this part of Europe is. It’s been years since we’ve been back. I don’t want to stay away so long.